The BlackVue DR590-1CH Dash Cam is the entry level product offering from BlackVue. 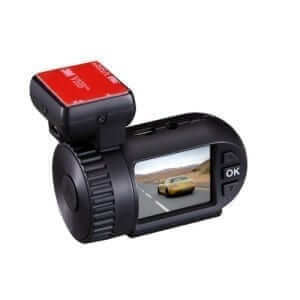 The DR590-1CH is a basic but refined BlackVue Dash Cam maintaining simplicity and elegance. It is a good choice for those wanting an affordable, entry-level BlackVue Dash Cam. 1. The Sony STARVIS sensor is incorporated for great video quality, especially under low light conditions. 2. Wide angle of view of 139° to pick up more of your surroundings. 3. High operational temperature resistance at 70°C. Changing menu settings and reviewing footage is only controlled on your computer via the BlackVue Viewer software that is Mac & PC compatible (the DR590-1CH does not have a screen or Wi-Fi for smartphone connectivity). If you wish to record and imprint speed and coordinates onto the footage, the external BlackVue GPS Module can be purchased as an optional extra. This also allows you to visualise the cars journey on a Google Map overlay in the BlackVue player. With G-sensor Impact Detection and automatic Parking Surveillance Mode the BlackVue DR590-1CH Dash Cam offers simple confidence while on the road. The BlackVue DR590-1CH Dash Cam also comes with a 2-year warranty and an included 16GB Micro SD Card.